For many people new to contracting, the thought of setting up as a limited company is too much of a leap to make. In this case, it can be beneficial to use an umbrella company to start contracting. An umbrella company is a company that acts as an employer to contractors working under fixed term (temporary) contract assignments. The contracts are usually sourced through a recruitment agency. The main benefit of using an umbrella company is that you don’t need to set up your own limited company; it is an alternative to managing your own company. The umbrella company takes care of a lot of the administration for you such as invoices and the accounting. They liaise with the agency to arrange payment, deduct the tax, NI and their fees and then pay you. Working through an umbrella company is similar to being employed; you are paid via PAYE and get payslips. The umbrella company holds the contract with the recruitment agency and therefore handles all the contractual and payment side of the relationship for you. The arrangement with an umbrella company can be very attractive to new contractors as it requires less of a commitment than having your own limited company. You can join an umbrella and can leave relatively quickly, whereas setting up a limited company attracts more responsibility through your duties as a director of the company. With an umbrella company, they handle all the insurance requirements, accounts, advisers and marketing and you don’t even need to set up a business bank account because you are essentially an employee of the umbrella. You sign up to join an umbrella company. This is usually a quick and simple process and you become an employee of the umbrella. When you are placed on a contract, you submit the hours worked and your expenses each week to the umbrella company. This is usually through an online system. The umbrella company invoices the recruiter or the client direct. You are paid via PAYE by the umbrella company and receive a payslip. The umbrella company supplies you with a P60 and a P11D each year as working under an umbrella company means you are an employee of the umbrella. Under an umbrella, you have the benefit of working on temporary contracts. Because the placements are temporary you can offset the travel and expenses from your contract work because you are travelling to a temporary place of work. Through taking advantage of the ability to claim these expenses, you can expect a 5-10% difference in your take home pay using an umbrella instead of being a permanent employee in a similar role. You also have the additional advantage of working at a contractor rate rather than a salary which is higher. There is potentially less initial outlay in terms of time or expense in joining an umbrella when you first start contracting in comparison to setting up your own limited company. There is no company set-up as you simply sign up (enter an employment contract) and you are ready to start contracting. You don’t need to appoint an accountant, or set up business bank accounts, and to some extent the umbrella helps you find contracts. This can be very attractive, as it involves doing less homework to start contracting. You gain a moderate increase in your earnings and the flexibility of the contracting lifestyle, while taking a manageable and almost instant step from permanent employment. Is an umbrella right for you? Only you know whether the choice of working under an umbrella or setting up a limited company is the right decision for your personal circumstances. Working under an umbrella offers many benefits, but you are essentially an employee and therefore it is not the most tax-efficient way of working. There’s a perception that owning and managing a limited company is complicated. This prevents some contractors from making a full transition from permanent employment to self-employment. Having your own limited company gives you greater freedom and more money in your pocket but it does require more effort in the initial set-up phase. There is a perception that managing a limited company is more work than working under an umbrella in the longer term, but with the careful selection of a specialist contractor accountant, a lot of the administrative work can be done for you. Working through a limited company offers more flexibility and ultimately more money in your pocket. You also retain far more control over your relationship with recruitment agents and ultimately the contracts you secure. Yes, working as a contractor through an umbrella can be easier, but the rewards of having a limited company can far outweigh the benefits of operating under an umbrella. Next in the series we’ll explain how getting paid via a limited company works. Hi, yes, I do. I am a foreigner who will start on Monday working in UK and need an Umbrella Company. However, since I am new to the UK, I will not have an UK bank account until I am able to show proof of address. Would a foreign account (in this case german) work in this case? You would need to speak to the Umbrella Company to see whether payment can be made into your German bank account. 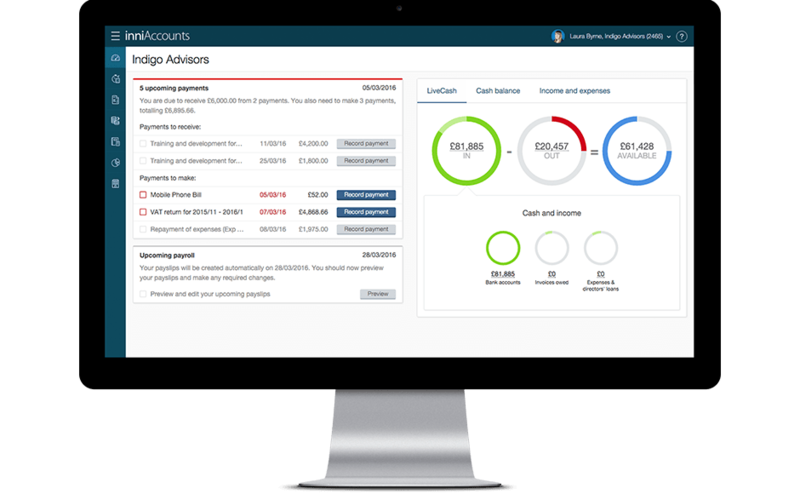 If you decide to set up a limited company and contract through this, you would be able to use a foreign bank account (which our software supports) however it would need to be in the company’s name. Hi, what happens if recruitment agency goes into receivership, but I am paid via an umbrella company? You would be best speaking with your umbrella company in regards to this as they will have more knowledge as to whether any money can be clawed back from the recruitment agency.